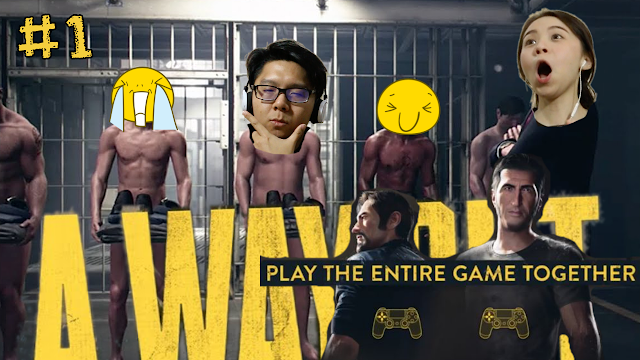 Lols, when he first told me about this new game call 'A WAY OUT', that requires 2-player to complete the game, I thought it was a great idea, until he told me he bought the game and asked me to play with him. For me, other than Sims, I'm not really great at video games, I easily get headache with most games due to the movements and I'm not really good at aiming stuff. I was just afraid that I'll slow him down if I play this game with him. I did it anyway, never try never know right, and I end up really liking it. I really like how EA tells the story and allow us to have split screen with different perspectives. Try it yourself, otherwise, it's pretty fun to just watch too! Do like this video and subscribe to our Youtube channel for more!